Spurge is a type of fast-growing weed that can quickly become a problem if not treated. This annual summer weed grows low to the ground and spreads fast. 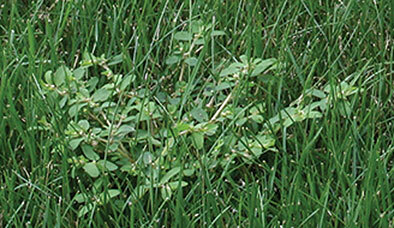 The earlier you catch this weed growing in your lawn, the quicker you can control it. Read this guide to determine if you have spurge in your yard. The leaves of spurge weeds are arranged along the stem with one leaf directly across from the other. Spurge has a main, central root called the taproot. The weed grows long stems that extend outward from the taproot. When stems and leaves grow outward from the taproot, they may have their own smaller root systems. Spurge grows low to the ground. When the leaves of spurge are broken, a milky sap is released. This sap can cause irritation to skin and eyes upon contact. 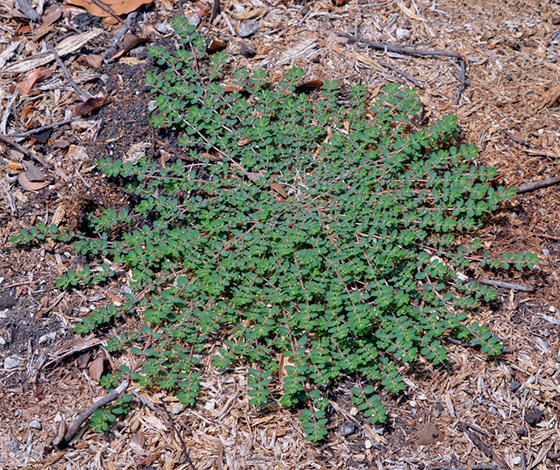 Spurge grows in warm weather. Depending on where you live and what the weather is like, you could see spurge growing from February through September. 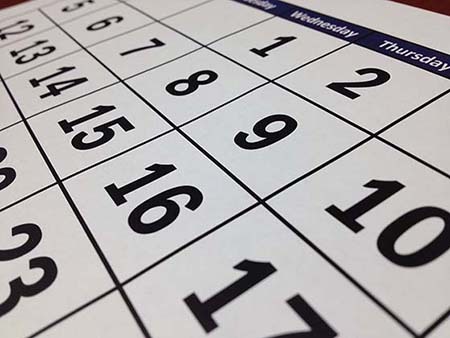 Seeds begin to germinate once soil temperatures heat up and will begin to grow once temperatures hit 60 degrees in the spring. There are many different species of spurge weeds. Below are some of the more common varieties found across the United States. The spotted spurge weed, also known as the prostrate spurge, is the most common type of spurge and is toxic to animals if eaten in large amounts. The leaves of spotted spurge have a "spot" or line of maroon in the center of the leaf vein. Stems will grow outward but will also grow upward when competing for sunlight with other plants. The stems of spotted spurge are purple or pink and are the easiest way to distinguish spotted spurge from other species of spurge. 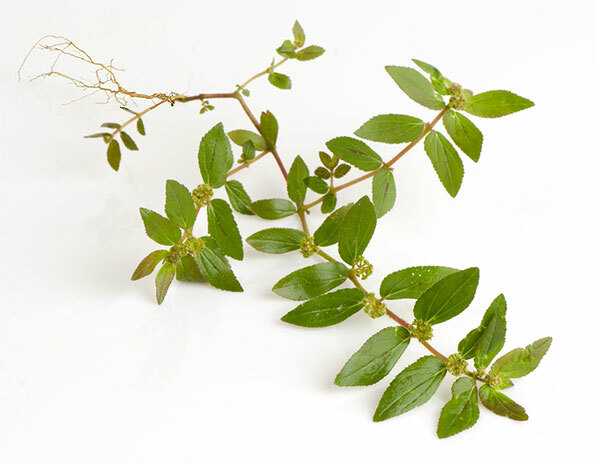 The stems of creeping spurge can reach up to 20 inches long with egg-shaped leaves. Creeping spurge can have white flowers that are found at the tips of stems, along the stem, and where the stem and leaf meet. The creeping spurge weed does not have spots on their leaves, distinguishing them from spotted spurge. Leaves are light green, pale red, or almost white. The leaves can be slightly hairy. Petty spurge thrives in moist, shady locations and is often found in garden beds and among shrubs. The petty spurge weed is light green with slender stems. Nodding spurge has stems that are pink or reddish with leaves that grow up to 2 inches long. The leaves are oblong and green, but can have a red spot in the center. Nodding spurge prefers dry conditions, poor soil, and full sunlight and can often be found in gravel, sand, or clay. Sometimes, the entire weed will be reddish-green. Have spurge? Learn where and when to find spurge weeds in the next part of our 4-part spurge guide. Click the right arrow below to read more. 278 of 288 people found this article informative and helpful.